High Gas Prices will be back! The ECHO is THE Answer! I have owned MANY ECHO's and if you are looking for luxury, look somewhere else or buy a Lexus, but if you want a solid dependable car with GREAT gas mileage, this is your car! The Echo got the BEST gas mileage over any other gasoline car sold for many years and was THE most fuel efficient GASOLINE car made! Only the Hybrids and Turbo Diesels got better MPG. (These cars have the extremely reliable and fuel efficient VVTi 4 Cylinder engine.) Please email me with any questions! I am a huge Echo fan and have owned several and actually have 4 of them, I recently sold my 2000 model on Craig's list earlier in the year. They aren't much to look at and certainly aren't luxurious, but they get you back and forth cheaper than almost ANY gasoline car made. You could spend $25,000 on a Prius and get 45 MPG or Spend $6000 on an Echo and up to 42 MPG (which I have gotten in my 2000) They really hold their value around this price range, and typically sell for more than book. Just check Autotrader! Cheap to insure, Easy to work on, not many power accessories to break. Echo's have a timing chain, so there is no timing belt that needs to be replaced. 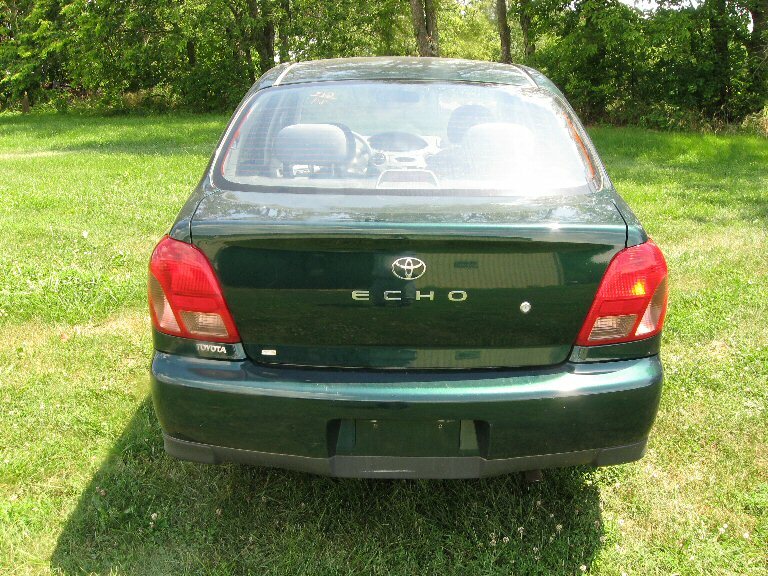 BTW - Did you know the Echo has the same engine as the New Prius and Yaris? Only the Prius has the additional electric motor to help offset your gasoline usage, but the Echo has more horsepower. Very Peppy little car! Prius: 1.5 litre 1NZ-FXE; 76 HP, 82 lb ft of torque. 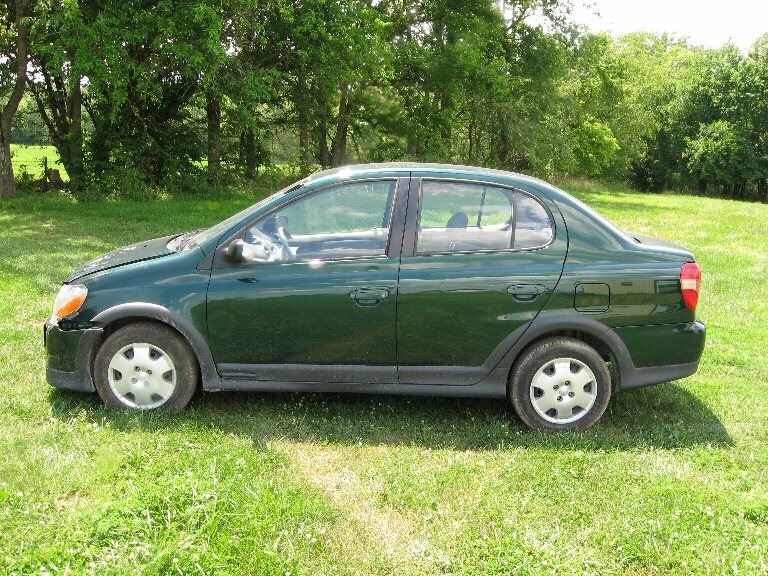 You just can't beat the reliability and AWESOME gas mileage of these little "green" cars..... The Echo was the MOST fuel efficient GASOLINE car made period. Only the Hybrids and Volkswagen Turbo Diesels got better MPG for the years they were made. I also have a 2007 Yaris now and it does not get near the 40+ MPG that the ECHO got. Here's a list of the MSN top 10 MOST fuel efficient cars sold in North America (I think it was in 2002). Notice the Echo is first in the list of GASOLINE ONLY cars. Not to mention Diesel fuel now costs on average more than a gallon of gas. 2002 Green Toyota Echo - Rebuilt Title - 94K Miles Ready to go! 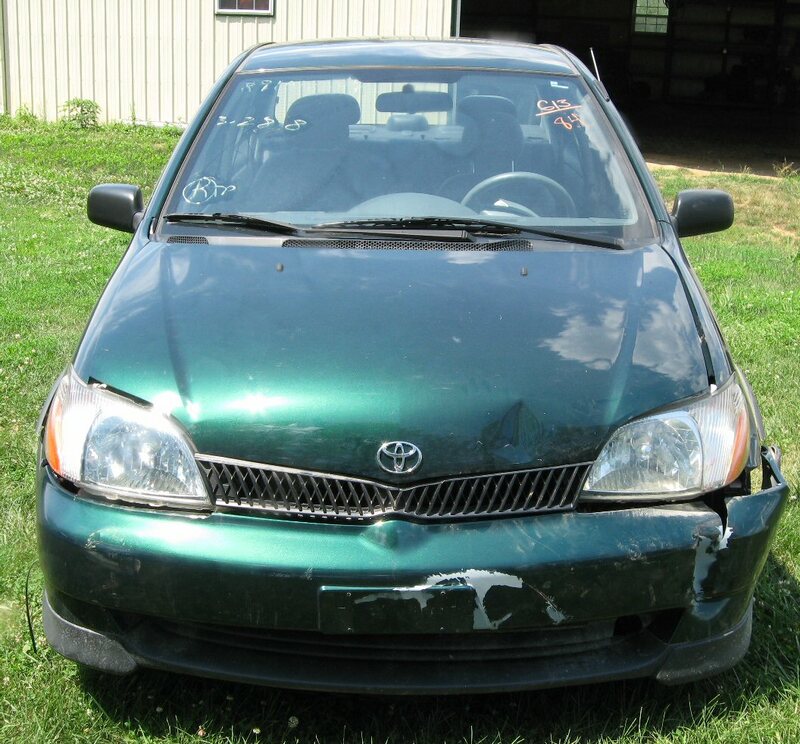 2000 Green Toyota Echo Sedan, Auto, with only 34K Actual Miles - carfax certified mileage. Rebuilt Title. Pictures are shown wrecked. Now totally repaired. SOLD!!! 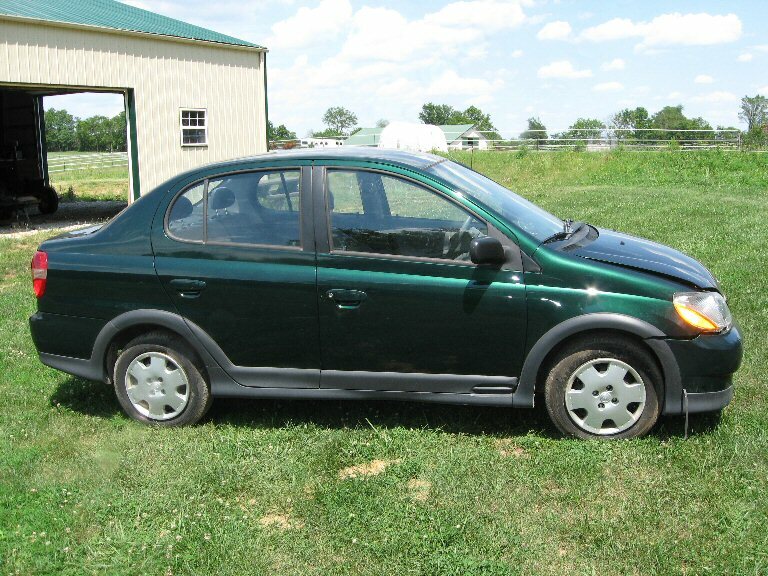 2001 Green Toyota Echo Coupe, Auto, with 102,000 Miles - Runs & Drives Parts available! SOLD!